Rated 1 out of 5 by willow from Needs a lot of work This switch is almost impossible to set up. It took hours to get it to pair with my wifi. It also disconnects itself constantly causing you to have to reset the device, rescan the code and repair! What a nightmare! The scanning of the qr code to scan is quite odd, what if you lose it? Overall a great concept but these do not work well at all. Rated 5 out of 5 by Wesley80 from Easy to install! I installed this smart switch in my home and have control to turn on the switch when traveling! 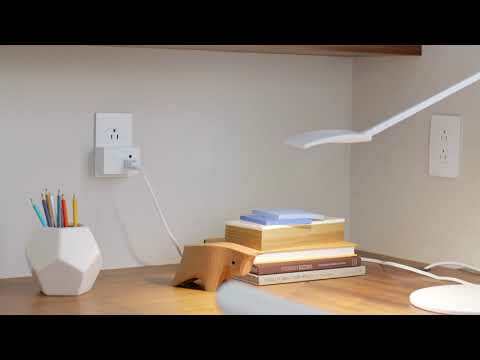 Great addition to transform your home into a smart home! Rated 5 out of 5 by MT8787 from Great product for a deceant price I bought 2 of these switches over the last several months for my outside lights and am not disappointed. They have never failed me and the options I have to control them with the smart lights app is great. I am switching all the outlets and switches in my house to the radiant nickel and it really makes the house look great. The Wi-Fi smart switches look almost identical to the other switches with the addition of a nice small cool white led to show the switch is off and helps find it in the dark. You can manually click it on or use the app which is great. I may even buy another one or 2 for other rooms in the house. Rated 5 out of 5 by jmdavis0724 from Great Product! Very Satisfied! I've tested and installed the WiFi Switch, Plug In Switch and the Dimmer. First and foremost, these devices were extremely easy to install and integrate with Alexa. I love that 3-way wiring comes standard on the wall switches. I've tested multiple brands of WiFi switches and Pass & Seymour's products are far superior. 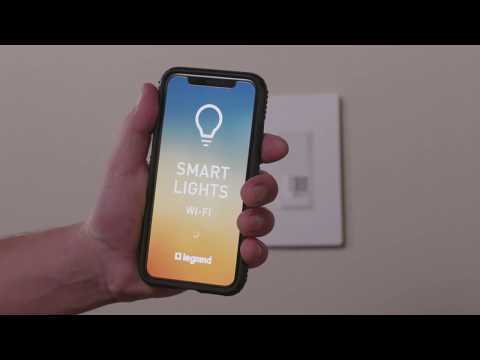 These folks know what their doing when it comes to Smart Lighting! Are the wires on the back of the radiant smart switch aluminum or copper? The wires on the Radiant Smart switches and all other Legrand devices are Copper. They are not designed for aluminum wire. 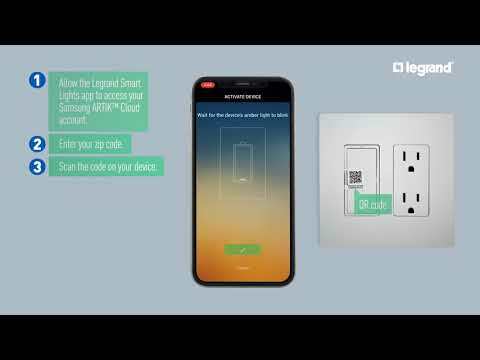 The Legrand website states that the radiant smart switch works with Nest Products. How do I set this up? Neither the Nest app or the Smart Lights app have an option to connect the switch with Nest. To setup Nest with the Legrand Smart Lights, you would log into your Artik account and it is done under &quot;Rules&quot;(Create New Rule). How do you change the phase from forward to reverse on the Radiant smart dimmer without the smart phone app? The app keeps crashing when I select settings for the device. Do these switches work with Samsung SmartThings? The Radiant Smart Light devices work with Google Home Assistant and Amazon Alexa. Hello, Our smart lights work with 2.4 GhZ network only. Hope this helps, Have a great day. Do I need to replace both switch on a 3 way network? Will this work on a 4 way network? This WWRL10 will work in a 4 way set up with out needing to change the existing products. If You use our dimmer the WWRL50 It will need to be paired with a specific Model HMR.